Member Ticket for all active OSEA members. Available for anyone enrolled in a post secondary program for the year of 2018. Please bring a current student card or school registration upon check in at the event. A table of ten with branding of corporate or organizational signage. A table of 10 with corporate/organizational signage and onsite branding opportunities. For more than sixteen years OSEA has been at the vanguard of the energy sector working with communities, businesses, institutions, and public and private sector organizations to champion it's vision of a prosperous Ontario with thriving sustainable energy sector powered, heated, cooled and moved by portfolios of renewable energy, conservation and energy efficiency technologies, creating good jobs, resilient communities and healthy environments. 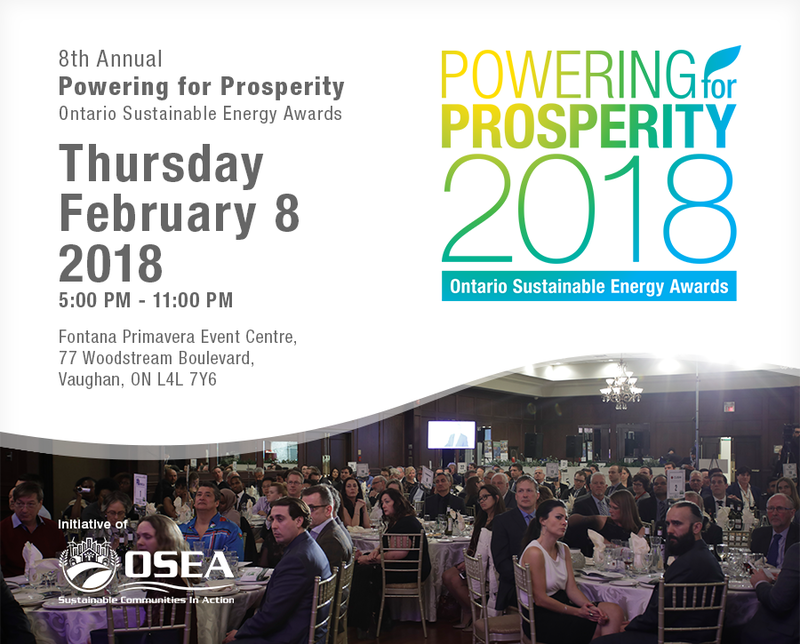 On Thursday, February 8th, 2018, we will turn the spotlight on the champions of our sector, and honour them during OSEA's 8th annual Powering for Prosperity Awards dinner at the Fontana Primavera Event Centre in Vaughan, Ontario. Stay tuned for exciting announcements regarding our keynote speaker, award nominations, and more! We are delighted to announce our keynote speaker for the upcoming Powering for Prosperity Awards Gala which are being held on February 8th at the Fontana Primavera outside Toronto, Ontario: Mr. Toby A.A Heaps. Toby is the co-founder and CEO of Corporate Knights magazine. He spearheaded the first global ranking of the world's sustainable corporations in 2005, and in 2007 he coined the term clean capitalism. He has been published in the Gobe & Mail, Wall Street Journal, Financial times and the Toronto Star. Heaps holds a B.A. in economics from McGill University and one year in the Belgrade Field Program (LLB in Management Studies) with the London School of Economics and Political Science. He co-founded Corporate Knights along with Paul Fengler in 2002. Heaps works on developing business strategies that create value across the environmental, social, and economic spectrum's. In 2008, he served as press secretary to Ralph Nader. 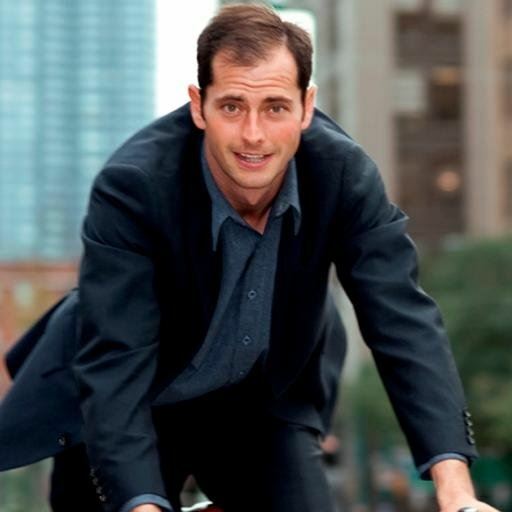 He is a regular contributor to public debates in Canada and beyond about public policy and business responsibility, particularly related to environmental, developmental, and sustainable challenges. Corporate Knights is a media, research and financial information products company based in Toronto, Canada, focused on promoting an economic system where prices fully incorporate social, economic and ecological costs and benefits, and market participants are clearly aware of the consequences of their actions. The company calls such a system "clean capitalism". Founded in 2002, Corporate Knights has a media and research division, which includes the award-winning business and society magazine Corporate Knights, and a research division which produces corporate rankings, research reports and financial product ratings based on corporate sustainability performance. We are happy to announce that Corporate Knights will be the Media Sponsor for the 2018 Powering for Prosperity Awards Gala.